It’s not likely that your morning coffee orders include, say, an Ethiopian heirloom variety long black, or something Typica on espresso, interspersed with your flat white and capp orders, even though most of us are quite comfortable selecting wine by variety. Different coffee varieties inform taste and have a large impact at the farm level in terms of yields, hardiness, and resistance to disease. Below is a brief overview of a few of the coffee varieties we work with most often. If you’d like to learn more, awesome, please just get in touch! Coffee is native to Ethiopia; the birthplace of all Arabica coffees, the origin of all origins. Heirlooms are prized for their genetic diversity & intensity of flavour. The parent of most coffee varieties and cultivars. It tends to deliver great balance in the cup as well as complex acidity. The plant typically has dense stems, leaves and fruits and a moderate yield. The fruits can be red, orange, pink or yellow depending on recessive genes, and are generally believed to not have any impact on flavour. Along with Bourbon, Typica is an original Arabica variety, and all the other varieties below stemmed from either, or a combination thereof. Typica is commonly grown in Mexico and Central America, it is a tall and leggy low yield plant but produces excellent qualities, generally very sweet & clean. Caturra is a high yielding mutation of Bourbon discovered in Brazil that tends to exhibit bright acidity & low-to-medium body in the cup. The Castillo variety was developed in Colombia as a high yield, high quality selection that also was resistant to coffee leaf rust. 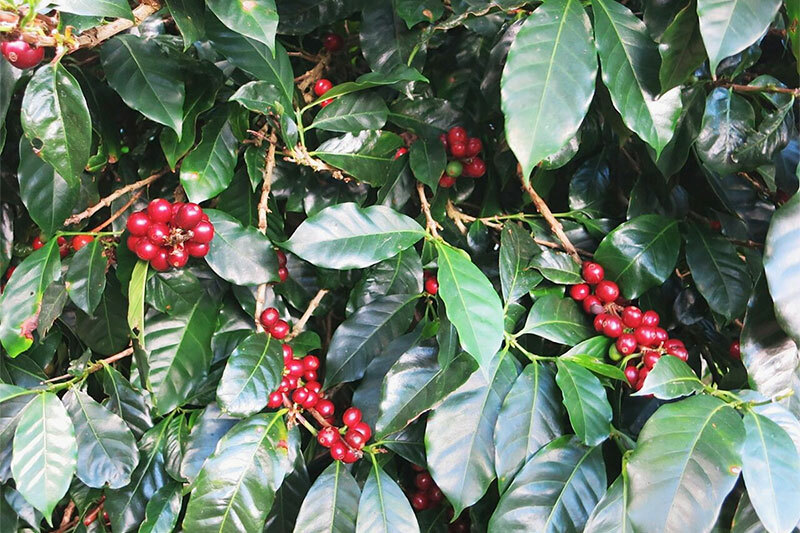 Catuai is a hybrid of Caturra and Mundo Novo very popuar in Latin America for its hardiness, good yields and excellent cup quality. Catimor is a cross between Caturra & Hibrido de Timor, created in Portugal in 1959. It’s known for quick growth & high yields & provides resistance to leaf rust. Geisha originated in Ethiopia & was brought to Central America via Costa Rica & Panama, the latter being where it gained international acclaim. In the coffee world, Geisha is considered to be the Queen of coffee varieties with an amazingly complex & intense flavour profile. Growing best in extremely high elevations, in the cup it displays intense florals, saturated sweetness & complex flavours. As good as it gets! The Pacas variety was discovered by Fernando Alberto Pacas Figueroa in El Salvador in 1949. It is believed to be a natural mutation of the Bourbon variety. S795, also known as ‘Jember,’ is widely grown in India & Indonesia. In the cup, it tends to exhibit flavours of maple syrup, caramel & brown sugar. SL28 & SL34 are known for their complex, bright & refined acidity, complex flavours & huge bodies. SL is an acronym for Scott Laboratories, where the varieties were selected in the 1930s in Kenya. This cultivar was created at the Kenya Coffee Research Station in 1985 for resistance to coffee leaf rust and Coffee Berry Disease. A mutation of Typica discovered in Brazil, it is a huge tree with large leaves and very large seeds, and is known for producing a very unique cup with citrus, florals and heavy body. Maracaturra is a very large bean type, a hybrid of the Typica based Maragogype & the Bourbon based Caturra. This is another of the large bean varieties, this is a hybrid of Pacas and Maragogype. Grown at very high altitudes this variety can display striking sugary sweetness and florals. A newer hybrid of Typica and Catimor being grown in the Takengong region of Sumatra. Both N39 (Bourbon) & KP423 (Kent) were developed by the Tanzania Coffee Research Institute primarily for high yield.